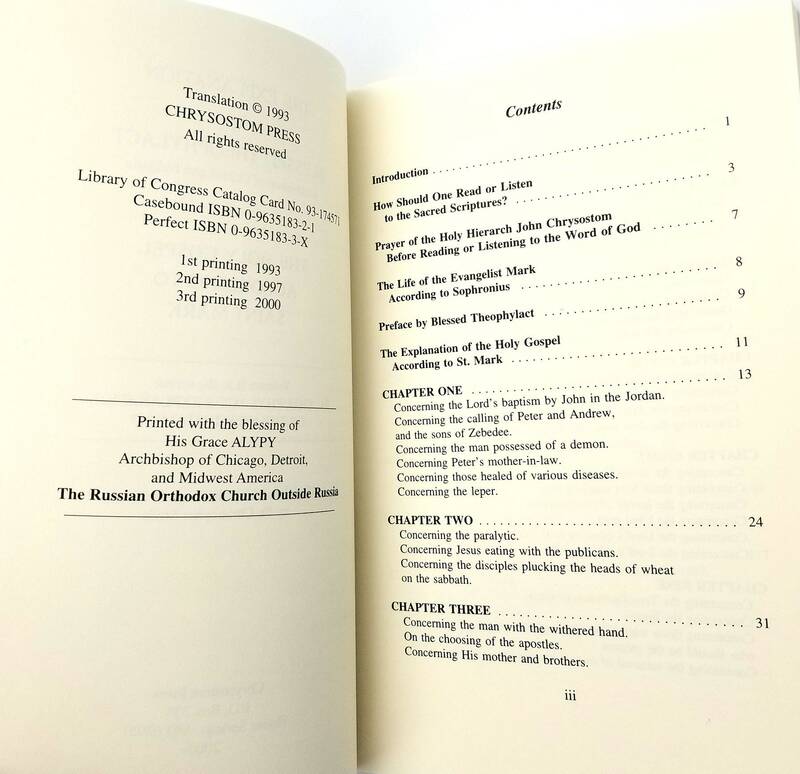 Description: Book has very light shelf wear; no marks; no creases. 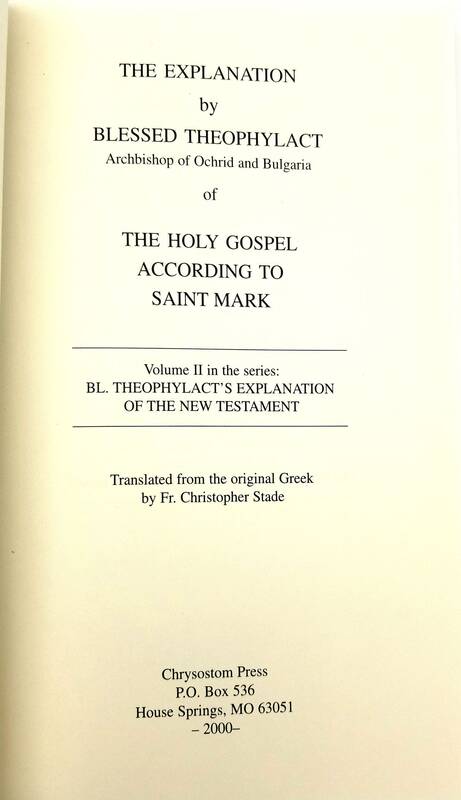 Translated from the original Greek by Fr. Christopher Stade. 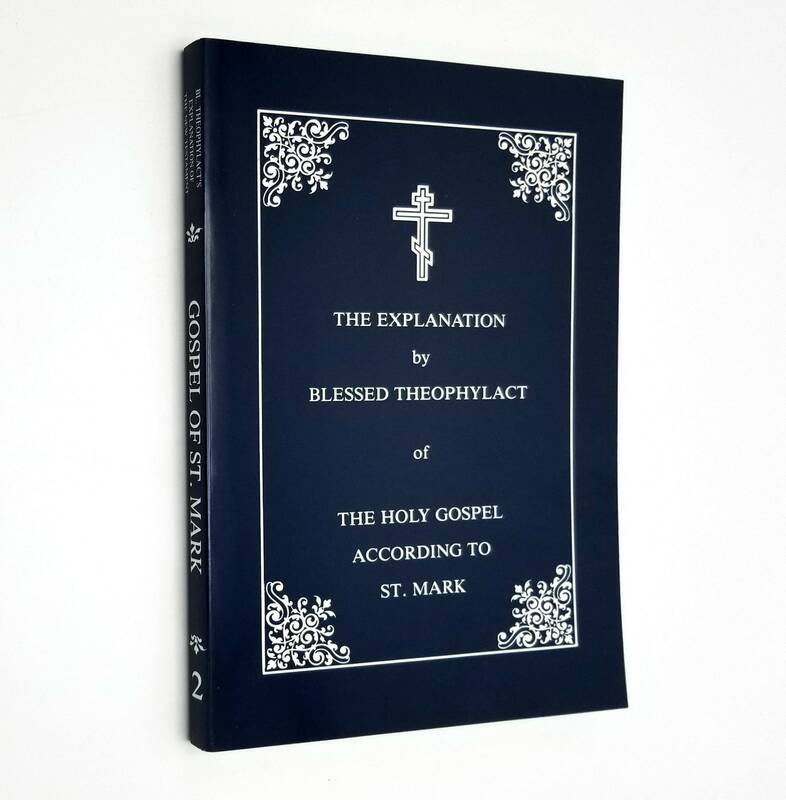 Volume II in the series "Blessed Theophylact's Explanation of the New Testament." 3rd Printing, 2000.